A traditional collectible holder’s modern transformation! Keep your digital data safe with the pull of a string. 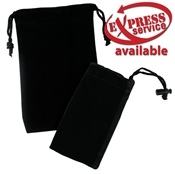 Versatile pouches provide a luxurious, personal touch to custom USB packaging. 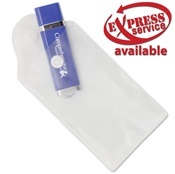 Multiple pouch colors and single color silkscreen printing available.